Since I got to know about cryptocurrency, I have become an enthusiast and have written a lot of articles on cryptocurrency on this blog. In one of such articles where I talked about how one can start crypto business without any form of capital, I made mention there that one way someone can start crypto business is through airdrop and bounty. Over the months, I have written a lot of articles on the world’s most current and legitimate cryptocurrency airdrops and bounty program where one can join and accumulate a lot of crypto tokens. All the crypto airdrops published on this website, I ensure that they are verified. So, if you're a reader of this blog I will encourage you to visit frequently as there are an aggregate of airdrops and bounties daily to bring you the most recent and profitable online earning opportunities. As a matter of fact, if you have not been doing crypto airdrops and bounties, then you are missing a lot because the evolution of cryptocurrencies brings a lot of online earning opportunities with it. This is one of the easiest ways you can make legitimate money online with little effort and with no capital involved. So, get into the airdrop category, choose an airdrop that interest you (the one with high potential) and follow the instructions provided to claim free crypto tokens, or vote for your favorite projects! By the way, what are airdrops & bounties? Most of the airdrops that I normally participate in and write about on this blog are “bounty” drops. Bounty drops reward the participants with tokens for completing very simple social media tasks (such as joining Telegram group, liking a Facebook page, reposting on Twitter, etc.). This kind of offer creates a win-win scenario because the company gets free marketing, and you get "free" crypto. 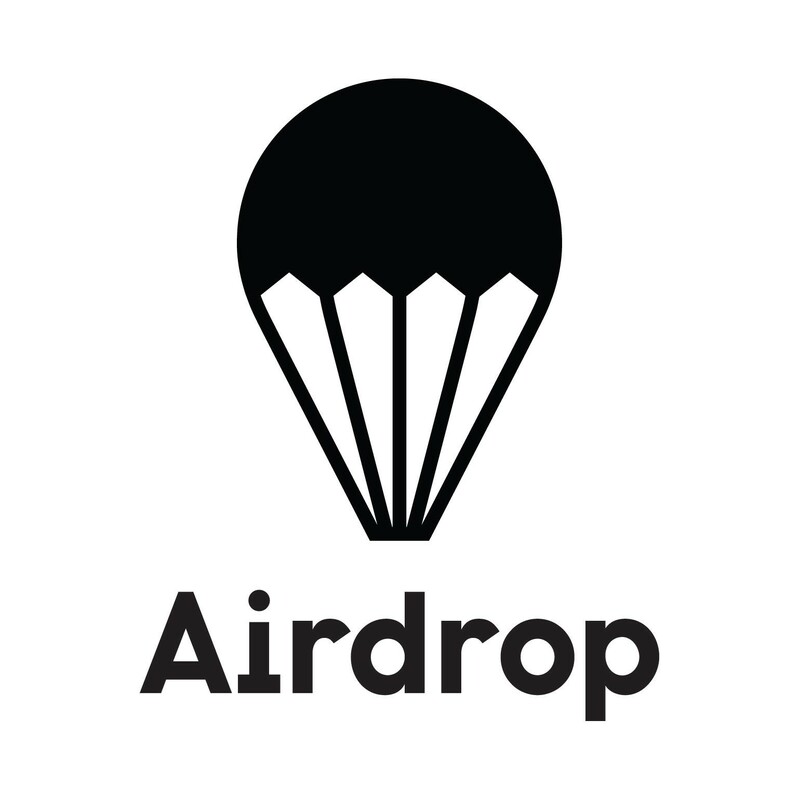 Apart from bounty drops, there is a second type of airdrop, the holder airdrop, which will reward the participants for simply holding a specific coin without expectation of any reciprocal consideration. As earlier stated in the foregoing paragraph, a given coin will only hold value because people believe in it and recognize its worth. The more the number of people who own the coin, the more likely it is to become widely adopted and rise in value. Airdrop is an effective means to get people to accept the coin widely and they are effective due to the “endowment effect,” a phenomenon whereby people will ascribe value to things merely because they own them or because of the reward attached. Executing a bounty airdrop is one surefire way a startup can create mass awareness about their project, token sale or pre-ICO with minimal cost to them. The project will become visible to people who would otherwise never recognize its existence because of social media campaigns carried out by the airdrop participants. A vast network of users can be created through airdrops, users who are particularly motivated to push a project’s success by doing things together such as winning community votings for exchange listings. Another way projects encourage users to hold (HODL) their coin for the long-term is by rewarding token owners with free airdrops. One advantage of this is that it can effectively lower the selling pressure of the coin. Holder airdrops have been a popular strategy amongst some of the most successful crypto projects, for example, NXT, WAVES, Bitcore and many more. How to claim or participate in an airdrop? Claiming of airdrops differs from project to project. Some “holder drops” will automatically drop tokens into the wallets of users who own the coin being held. Other projects are snapshot-based, this means they can only be claimed by users who held the required token during the “snapshot.” The snapshot is a record of token holders taken at a specific time/block. Byteball, which was initially distributed to Bitcoin holders is an example of holder airdrop. The Byteball holders enjoyed a monthly amount of Bytes into their wallets, an amount that is proportional to the amount of BTC/GBYTE that they held during the drop. These types of drops can create excitement which often leads to a significant price action for the coin involved. In order for anyone to participate in bounty airdrops, such a one will need active accounts on different social media sites like as Facebook, Twitter, and Telegram (which are the major ones for crypto airdrops); and sometimes the less popular ones like Medium, Instagram, Linkedin, Reddit, etc. It is also recommended you have a bitcointalk.org account, a popular cryptocurrency discussion forum. Having account there is necessary because some airdrops require participants to post proof of ownership in the forum threads. Most bounty drops will require you to join a Telegram group and share posts on Facebook and Twitter. Once you've completed the steps to reserve rewards, sometimes you'd be required to fill out a form with your usernames and wallet address. A lot of people who participated were able to generate notable wealth by merely holding these airdropped coins through their volatile growth period. It is a good practice to hodl your airdrops token as long as possible. I'm aware of the fact that the majority of crypto projects out there are worthless shitcoins and they will fall to zero, in this blog I bring you projects in which I have done my research and have been able to see future potential. Most of the projects offered in this blog will be highly successful, and if you make a decision to hold onto their tokens, you'll be happy you did. I strive hard to list only legitimate projects on this blog, however, I won't be held responsible for any problems or losses caused by scams or inaccurate information. Remember never share your wallet private keys with anyone!